Pooka, phooka, puka. No matter how you spell it the shape shifting beastie, most commonly appearing in Ireland, Wales, and Scotland, often takes the form of a black horse or a white rabbit. Even Lewis Carroll’s white rabbit was a pooka of sorts. They trick you, they lead you in the wrong direction, you are the only one who sees them and your driven to think you’re crazy. Most accounts are dismissed as the ramblings of a drunkard (Harvey) and while actually relatively harmless, there are pookas that appear to scare the living daylights out of you. YOu may be taken on a fearsome midnight ride. You may be lead on a dark-of-the-night ghost chase through a graveyard. They are really pretty unpredictable. 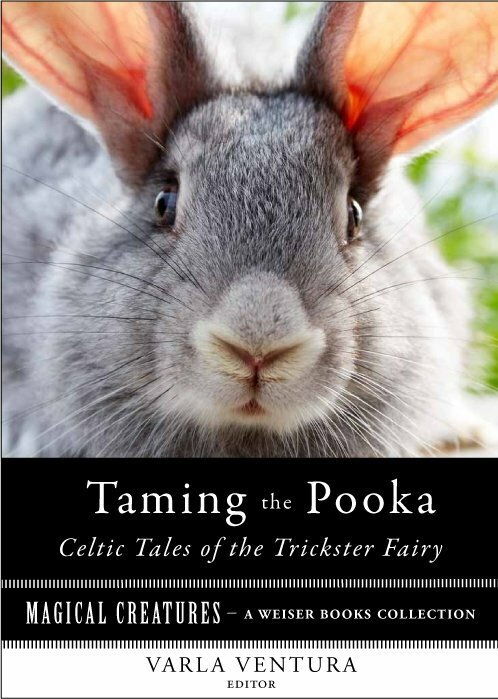 So to honor this beloved creature of the night, I’ve put together a collection of pooka stories form folklore, available only in digital form and priced at the low, low rate of a mere 99 cents. Includes a T. Crofton Croker story and tales from William Butler Yeats. So grab your digital reading machine, download Taming the Pooka, and mix yourself up a stiff drink. The more you drink, the more you will believe. Now, if you use something like Vanilla vodka (Stoli makes one) you can omit the vanilla liqueur. I like to add a little whipped cream to the top, for fun. This version of a White Rabbit is a bit more like a White Russian, really but with vanilla. You can also make a version that involves brandy, baileys, vodka, and Kahlua. But who has all of those on hand? Put all the ingredients into a cocktail shaker, over ice, and shake. Serve this drink in a coffee cup. Why? So that when no one believes your story of the pooka you saw, you can claim you were just sipping tea. This entry was tagged Alice in Wonderland, Happy Hour of Horrors, pookas, pukas, T. Crofton Croker, Taming the Pooka, White Rabbit, White Rabbit Cocktail, William Butler Yeats. Bookmark the permalink.